Three years ago, I made a life-altering decision to stop being a lawyer and start being a social worker. For many years, I felt stuck. I had invested a lot of time, money, and energy into pursuing a career I believed would be fulfilling. As a lawyer, I hoped to help people navigate confusing laws and government agencies. I did, but not in a way that made my heart sing. One day, a close friend suggested I consider going back to school to get a Masters’ degree in Social Work. At the time, negative stereotypes (learned through TV and movies) of social workers came to mind. But then I did my research and found social work could provide me a unique way to focus on increasing quality of life and building strong communities. In returning to school, I was interested in programming and legislative advocacy impacting Virginians with disabilities. I was paired with Community Brain Injury Services during my first year, where I was a case manager for survivors of brain injury. I loved working with individuals to increase their quality of life and empower them to create sustained change. But the lawyer part of me kept whispering in my ear that legislative advocacy might be a creative way to pair my education and experience in another impactful, fulfilling way. I needed to find a way to make this happen. 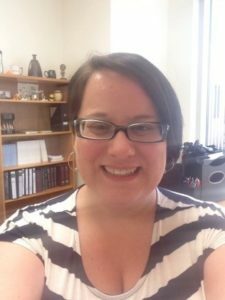 Last spring, I reached out to BIAV and since August, I have worked three days a week at BIAV as my field placement. At BIAV, I have been given great opportunities to jump in and learn through action. For example, I have been very involved with BIAV’s Information and Referral program, which connects individuals to community programs and resources throughout Virginia. I also had the chance to plan and work with the Executive Director on BIAV’s first Virtual Awareness Day, advocating for additional brain injury funding from the General Assembly. As my time at BIAV went on, I began to feel truly integrated as an important part of the team. Further, I was given responsibilities with a real opportunity to make a difference. If you are thinking about changing careers, go for it! Change can be difficult, but my journey to becoming a social worker has been more fulfilling than I thought possible. If you are a student at Virginia Commonwealth University studying social work with an interest in advocacy, data-informed policy, social policy, and working with the brain injury community, I encourage you consider a placement with BIAV. You will never be bored! And for anyone already at an internship, the best advice I can provide is simple: find out what is going on where you work and ask for opportunities that excite you! Very rarely will someone turn down a helping hand and having the chance to gain real experience is invaluable. 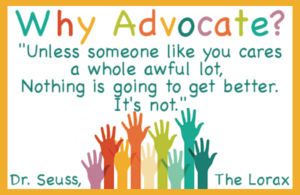 You are your best advocate – if you want it, ask for it! Thank you BIAV for an enriching learning experience that will stick with me forever!